Whew, Friday again? I used to live for the weekends. Now Fridays are like Sundays to me. It's rather strange, the change. Anyway, this week was fun. The fall weather finally made an appearance toward the end of the week, and we're just getting tinges of color in the leaves. The mosquitos are horrendous though, oy! I didn't take many personal photos this week, just a few of Little Miss playing outside during our Girl Scout meeting. I have edits galore in my cue and another wedding this Saturday. It'll be a busy weekend - but really all the days just blur together at this point. What do you have planned? Any fall festivities? 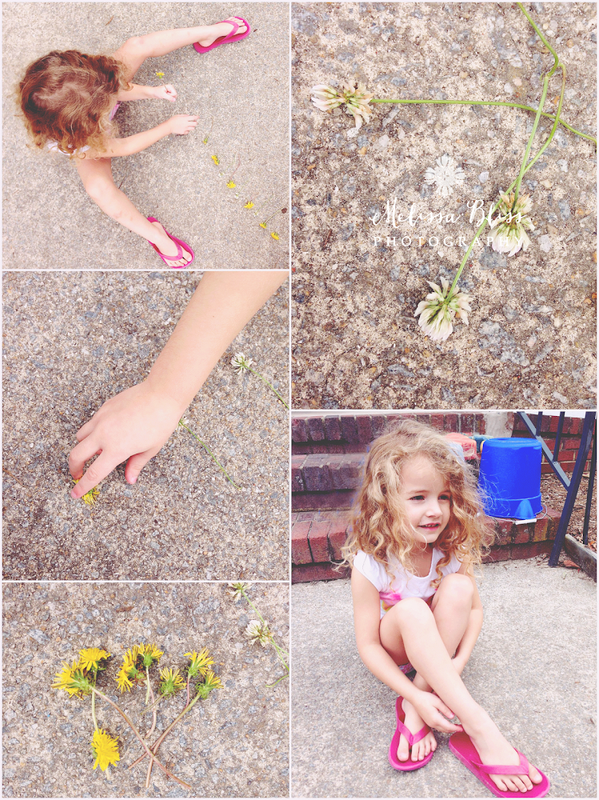 My girl loves to pick dandelions, too! Yay for the weekends! Hope you all have a lovely one! Oh my - blur together is right. Seems like it just keeps piling on - but can't really complain. It's how we make things happen. Oh... remember the days when we were just learning our craft & the days were simple? :) hehehehe. Love you my friend!!! Hugs. BTW..you got some amazing photographs! !